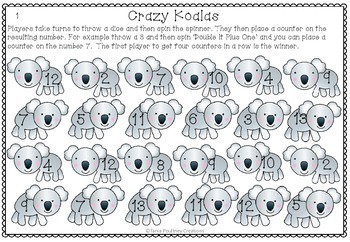 This is a fun doubling numbers game that has three levels for students to play. 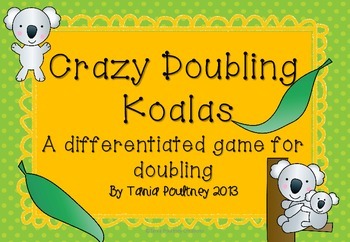 Students get to practice doubling and doubling then adding or subtracting 1 or 2. 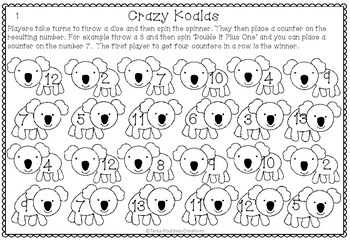 This is a great way to provide differentiation in the classroom. 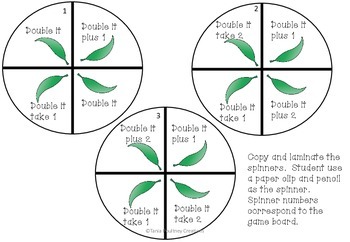 Students use a dice and spinner to find the double and cover number on a game board. These gameboards and spinners are available in a colour and blackline format. Please download the preview to see exactly what you will receive in the file. If you have any questions please email me first. Remember to leave feedback to gain TpT credits toward your next purchase!